Meet with us for a home health needs assessment. 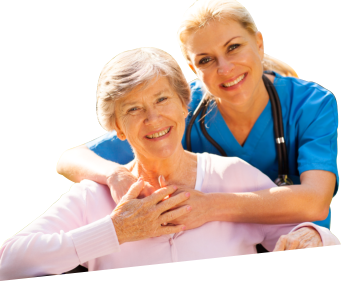 The crucial role of our caregivers at Emmanuel Home Health, Inc. Recommend your friends and family to our services. Welcome to Emmanuel Home Health Inc.
Because we are all daughters, sons, mothers, fathers – we care. The growing number of elderly homes represents thousands of families in the United States who are facing this ordeal of life beyond retirement. We travail into fast paced lanes but we don’t want our loved ones to be left behind. Who can we trust? Who can sincerely care? Emmanuel Home Health, Inc. exists because we believe that health care is a basic human right. It must be available, coordinated and provided in a comprehensive way. It leans on the nurturing ability of warmhearted caregivers. It envisions families to abate strain and tension in their lives and ease of the human heart. It is committed to the rehabilitation of aged, diseased, and/or disabled individuals within the structure of their home environments, allowing maximum contribution, independence, and retention of self-respect. Call us today to inquire about availability of our services – 847-658-3980.